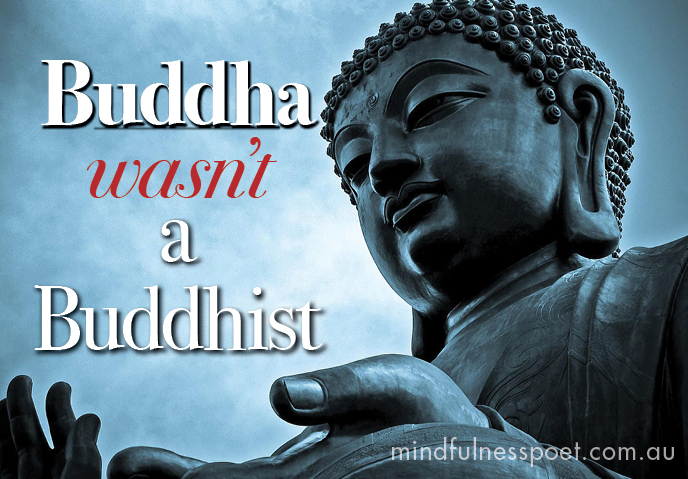 Buddha wasn’t a Buddhist. He was someone whose life was transformed by a profound experience of inner peace. For the rest of his life he would share that experience, his insights and his suggestions with anyone who was interested. Buddhism came after he died. It was made from the remembered words of a man who used countless examples and analogies to deliver one simple message: without inner peace, life is suffering. Connecting with an inner experience of peace satisfies a deep hunger, which makes the other aspects of our life SO much more straightforward. The inner peace is in there; in Buddhism there is no concept of some fatal flaw within us that needs to be remedied. Rather, our inner peace is obscured by the “fluctuations of consciousness”. In the same way that clouds obscure the blue sky, our inner peace is obscured by agitated thoughts and emotions. Most of what Buddha talked to people about was the obstacles to deeply experiencing inner peace. Anger, self-obsession, greed and the like. Overcoming them was his main topic of conversation because in their absence you will naturally find your inner peace. Buddha – when asked – gave guidance or instructions as was appropriate for the person he was talking to. He wasn’t downloading a uniform model, he was responding to the human needs of the person in front of him. The words he gave where suitable for them. But there was one piece of advice Buddha gave to everyone: test what I say by putting it into practice, don’t just talk about it. Practice and if your experience of inner peace deepens then you have started on the path to nirvana. And if it doesn’t, abandon the practice and try something else. 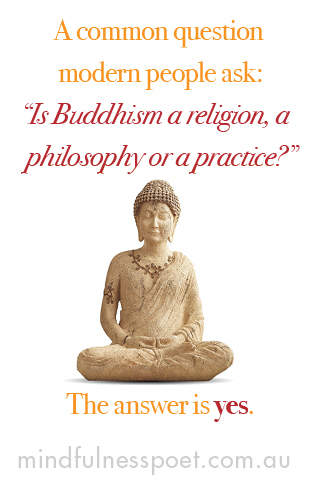 A common question modern people ask: “Is Buddhism a religion, a philosophy or a practice?” The answer is yes. From the raw material of Buddha’s carefully remembered words you can create your own personal path to inner peace. So for a religious person, their is plenty of religious buddhism to help move your consciousness into a more peaceful state. If you are of a contemplative nature, there is plenty of Dharma to help shift your point of view into a bigger, calmer picture. And of course there is the minimal model: “focus on your breath – in this moment – and be grateful”. They are all potentially paths to inner peace. You will only know what satisfies your deep hunger – religion, philosophy or practice – if you try them out and see what happens.